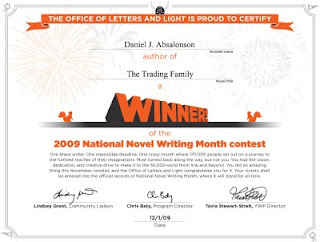 Dan Absalonson | Author of SciFi & Fantasy: I Won NaNoWriMo! Thanks froghopper, it did help a lot, I'm so glad I did it. I'm definately going to do it next year. Seeing some of my friends word counts go up on their NaNoWriMo page, and from their Tweets on Twitter reporting their daily wordcounts, that really inspired me to get more writing in when I could. 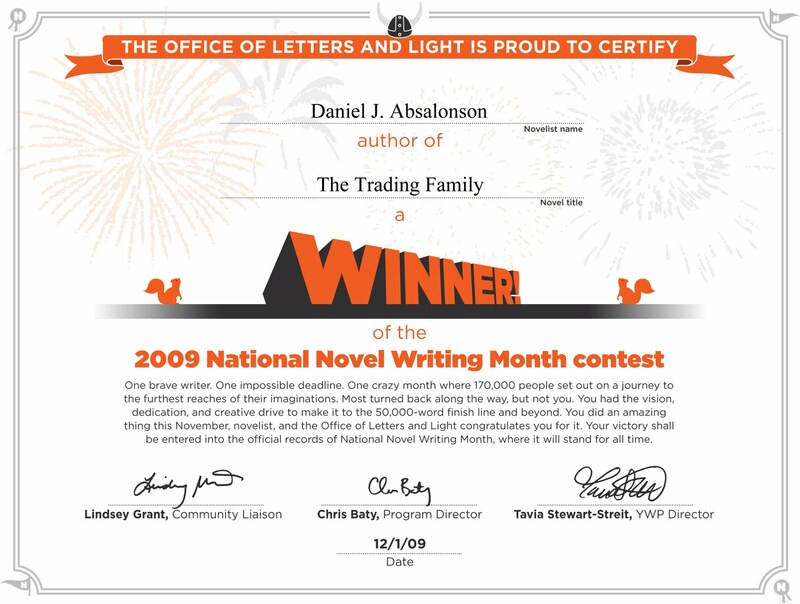 If only I would have finished the novel at 50K words, but it's kind of exciting to have a longer novel, my first novel was only 48K.